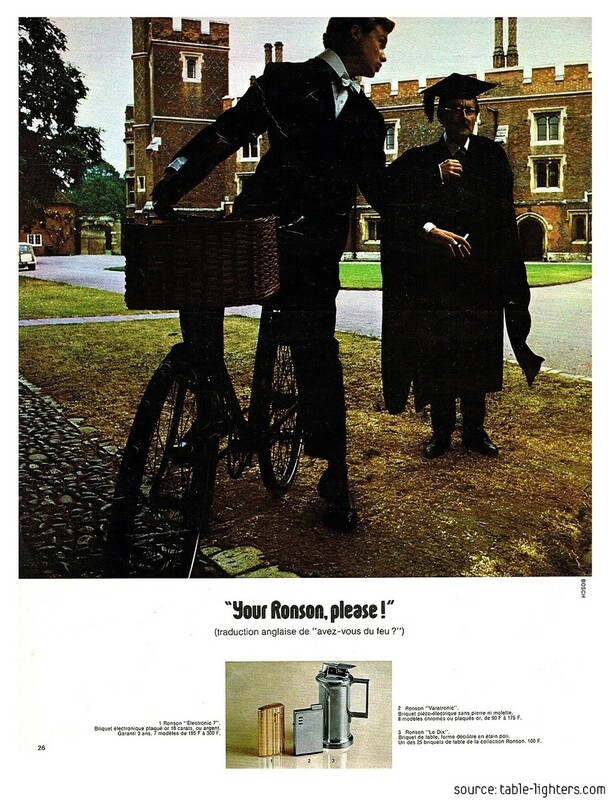 This Ronson advertisement was published in a French magazine on 1977. It depicts the Ronson Varaflame "Le Dix" butane table lighter with a heavy pewter base and two gas pocket lighters; the Ronson "Electric 7" and "Veratronic". The "Le Dix" table lighter was marketed in the USA as the "Varaflame Tankard".